A team of professionals with different skills and three friends, Marco, Fausto and Francesco, who share a great passion: cycling. United by this common passion, we decided to put together our engineering expertise and our know-how in industrial production with the only major objective of creating the best performing road bikes available on the market today. 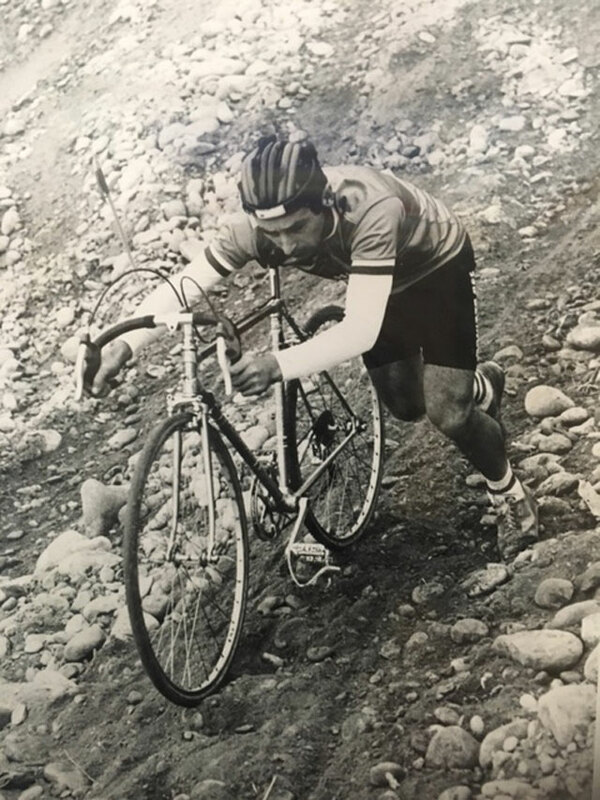 We’re all cyclist agonists, we love racing and performance and with our work we try to provide a mechanical means that could allow everyone to reach and exceed his/her limits. We believe that the Italian manufacturing is still the incomparable expression of the best quality in the field of prestigious bicycles. For this reason, the highest range of our production is entirely made in Italy, exclusively by hand, with the collaboration of the best Venetian frame masters, historical heritage of craft production of frames for racing bikes. Our bikes have been and will be the dream of many fans and this is why each of them is named after a star. Sabik, Naos, Mizar, Tabit, Altair … the stars of our new production. Rodman was born in the late ’90s by an idea of Guido and German, the first one Italian and the second one from Germany, who decided to share their respective skills in industry and street racing to launch innovative bicycles where technology was combined to functionality. The name has a triple meaning. 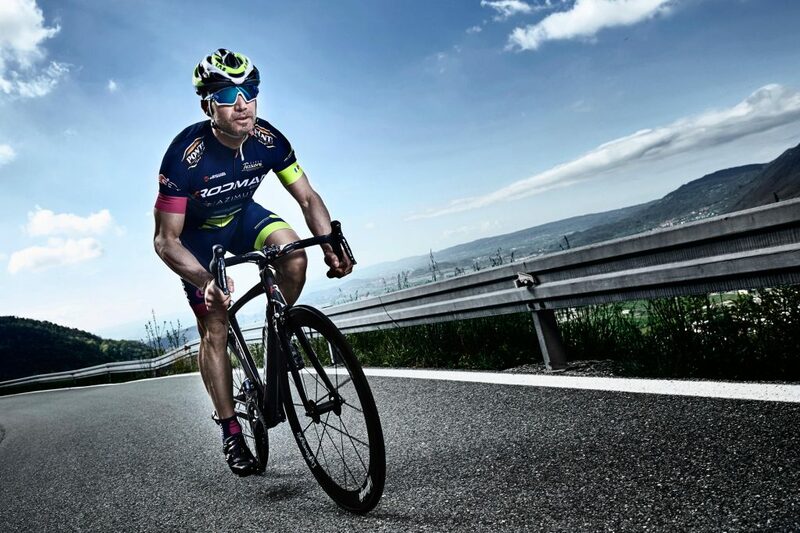 In English it means “ROaDbikes MANufacturing”, is the production of road bikes which identified the new activity. For Americans the name “rodman” recalls a famous cannon which was powerful and very reliable. A perfect union that we always pursue for our bicycles. In the end, it was just a name that pleased the two partners and which everybody agreed on. The history of Rodman is also made of technological solutions, in some cases real insights and inventions. We would like to remember at least the last 10 years of our technological history. The new MIZAR frame is launched, which is the result of a project that focuses on the correct bio-positioning of the cyclist. 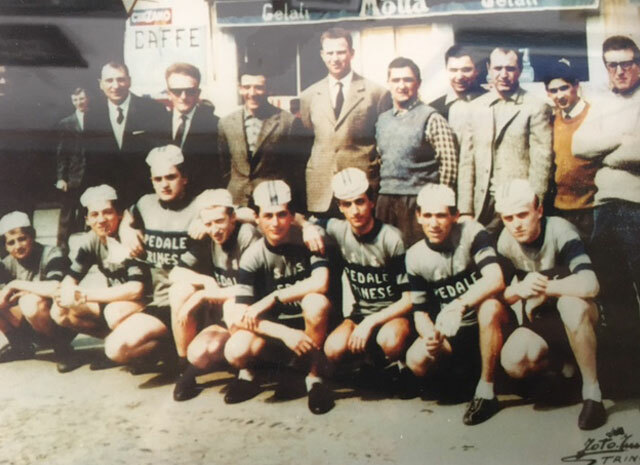 For the very first time in the history of the bicycle mechanic, the data concerning the anthropometric proportions of the population are analyzed in a scientific manner. The MIZAR project is brought to a higher level with the Sabik and NAOS projects. 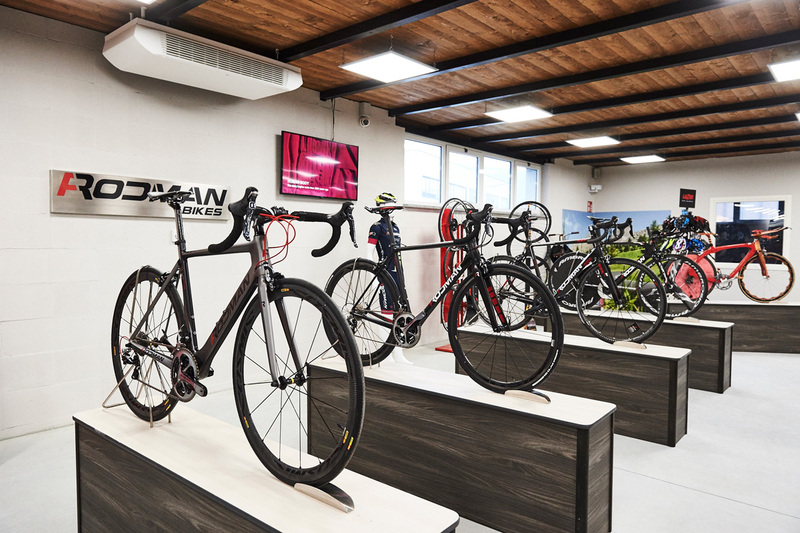 Italian manufacturing and the use of precious materials make it possible to build completely custom frames, able to satisfy 100% the demands of cycle bio-placement centers. It is the Italian tailoring bike. The presence in the competition fields requires a continuous progress of the special means.The time trial / triathlon ALTAIR frame presents new aerodynamic solutions. To improve the airflow, seatstays are moved from the wheel. Aerodynamics is the new frontier of carbon roadframes. The research leads to solutions that make the bike faster and more responsive. A fork with embedded forms in the chassis, aerodynamic pipes and seatposts, a bottom bracket measuring 86mm. RAZOR is the Rodman answer to these new demands. It’s a year of study. Considerable resources are invested to seek solutions that could improve the bicycle responses to the force on the pedals. In order to find the best solutions, many tests are conducted on cycle tracks, where conditions are kept constant. 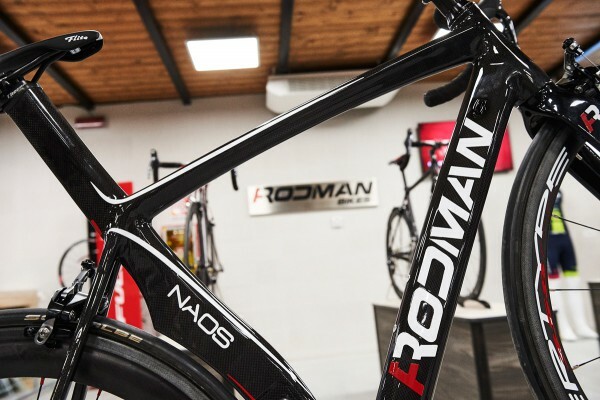 Rodman makes itself known on the market for an exceptional and limited production of 3DOM track frames that summarize the results of this work. The challenge is to produce a high-end frame at an affordable price. For the very first time, the RD400 model is produced with a polystyrene system which can compress carbon fibers and resin in the molds in an autoclave. This technology, which proves to be functional, will be used in all future productions. Shimano introduces the first group with an electronic gear. 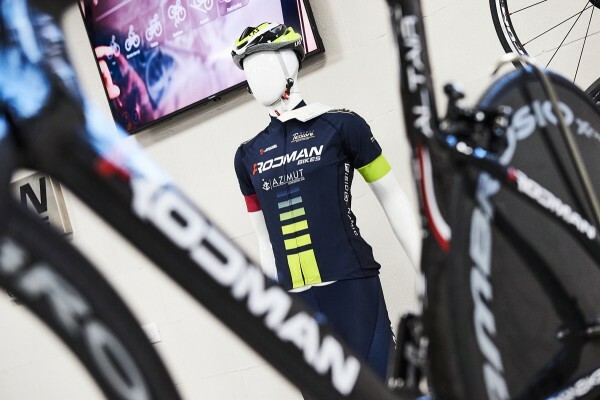 Rodman launches the RD201 model, the first frame in the world which can support both the mechanical transmission and the electronic gear system. The new Rodman ambition is to produce a frame with an integrated seatpost weighing less than 900 grams. In order to do that without sacrificing its intended structural standards, the carbon resin ratio in the pipes is increased. The RD101 model weighs 840 grams. The innovative RD256 frame is presented with a conic steering tube and an integrated seat post. The brand new ”tube to tube” technique is introduced. 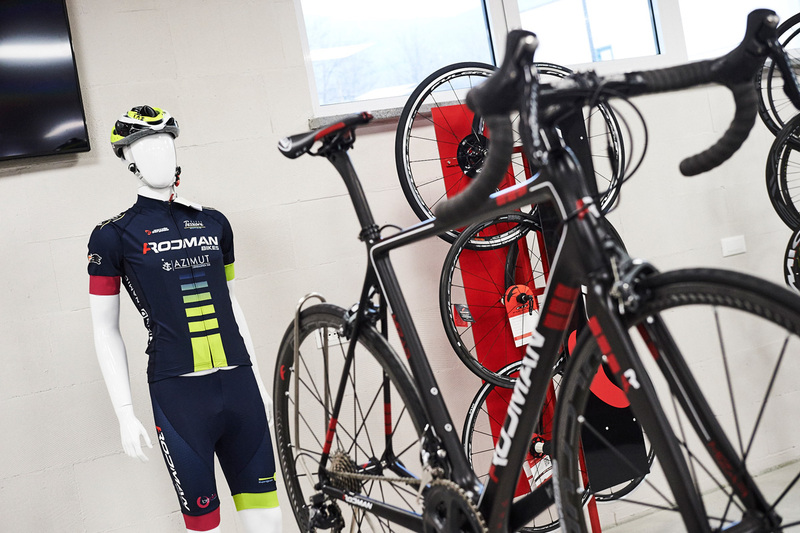 In a rapidly evolving field such as bicycle technology, these years are considered pre-history and therefore do not directly affect the production of current bikes. Would you like more information about RODMAN?